How lambs were assigned to wolves for protection. Ali Huseynov is a nice guy and a very good legal expert. He is also a member of the ruling New Azerbaijan Party and an MP of Azerbaijan’s rubber stamp parliament, Milli Majlis. Moreover, in his capacity of the Chairman of parliament's Law Committee, Huseynov is also a mastermind behind all recent changes to Azerbaijani legislation curbing all kinds of freedoms, like of assembly, religion, information and media. 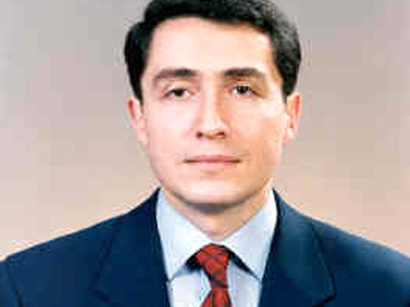 Huseynov also authored the notorious legislative changes in 2011 that restricted activities of all foreign and local NGOs in Azerbaijan. In short, he is the Draco of Azerbaijan. But Ali Huseynov is also the main guy behind Azerbaijan Confederation of Lawyers – a classic textbook GONGO and the Chairman of its board. And here comes the main concern. USAID was seeking applications among Azerbaijani NGOs for "a Cooperative Agreement to fund a program entitled Azerbaijan Rights Consortium (ARC) Project" and apparently they found the right partner! This is what we call assigning a lamb to a wolf for better protection. 11 prominent human rights organizations and NGOs in Azerbaijan have already addressed a protest letter to USAID and media raising their concerns. USAID declined to comment on the issue, except for a small note that the grant was awarded according to all procedures and due process. But they promised to meet with protesters and clarify their questions. Anyway, we don't know what may happen after this. USAID would hardly reverse its decision. But as the prominent Azeri journalist Khadija Ismayil posted in her Facebook profile - dear USAID, just don't claim it is an American support to democracy in Azerbaijan.